Since it's the end of August (holy moly!) 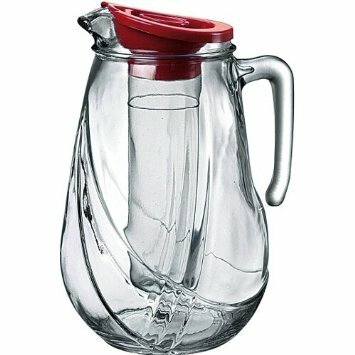 it's a little silly to covet lovely iced/fruit infusion beverage pitchers now - yeesh, don't you always find *the perfect thing* just after the *the perfect season* for it is about to expire? 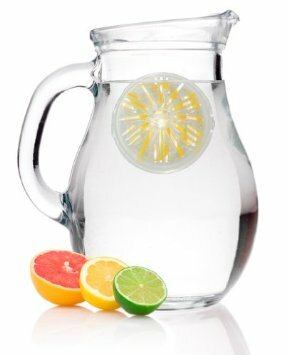 This summer's been a whirlwind, but there's always next summer for more outdoor picnics and bbqs which call for fruit infused water (and other drinks), so I'm going to have to return to gazing at these fruit infusion pitchers sometime next spring. For now though, onto the Amazon wishlist they go! Look at the infuser ball in this one! Cute! 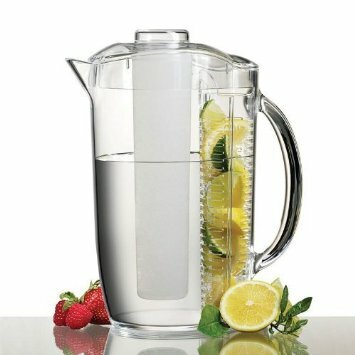 Not a fruit infuser here, but it does have an ice container to keep your drinks cold without diluting them! 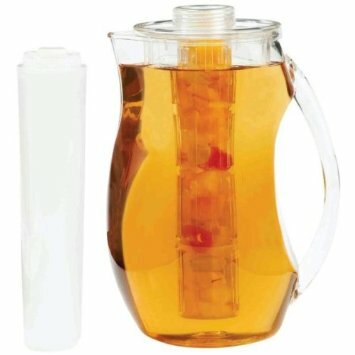 Either an ice container or a fruit infuser - you pick! This is one of those items I would never think I needed until I actually saw it. And now it's all I can think about. My credit card thanks you! I know - aren't they great? Can't believe it's almost fall already though!